The origin of life has been a subject of speculation in all known cultures. In the modern era, this question has been considered in terms of a scientific framework. Lord Buddha’s’ explanation of the origin of the Universe, compatible with the modern scientific explanation. Buddha described the origin of the Universe and life in the Aganna Sutta 2500 years ago. According to Buddha’s explanation the universe being destroyed and then re-evolving into its present form over a period of millions of years. The Buddha did not believe in the existence of a supreme god or creator of the universe. The Lord Buddha presented a model of cosmology wherein the universe expands and contracts over extremely long periods of time, this description has been found by some to be consistent with the expanding universe model and Big Bang. The Buddha explained that the universe expands outward, reaches a stabilizing point, and then reverts its motion back toward a central point resulting in its destruction, this process again to be repeated infinitely. Sir Fred Hoyle - a renowned British astronomer coined the term “Big Bang. Big Bang Theory explains the beginning of the universe. The big bang theory proposes that the universe was once extremely compact, dense, and hot. Some original event, a cosmic explosion called the big bang, occurred about 13.7 billion years ago, and the universe has since been expanding and cooling. The theory is based on the mathematical equations, known as the field equations, of the general theory of relativity set forth in 1915 by Albert Einstein. "Now there comes a time, Vasettha, when after a long period of time this world expands. In this stanza the term world has a wider understanding. Here the Buddha refers to the Universe. The Buddha said "Space has no end, and there are endless numbers of worlds." This means that the universe has no limit, and has an endless number of stars and planets. Aggañña Sutta is in complete agreement with scientific evolution. The Aggañña Sutta presents water as pre-existent to earthlike planets, with the planet forming with water and the life moving from the water onto the earth. The first life formed on the surface of the water and again, over countless millions of years, evolved from simple into complex organisms. . According to Buddhism, world systems always appear and disappear in the universe. There comes a time, Vasettha, when, after the lapse of a long, long period, this world died. And when this happens, beings have mostly been reborn into the Realm of Radiance [as devas]; and there they dwell, made of mind, feeding on rapture, self-luminous, traversing the air, continuing in glory; and thus they remain for a long, long period of time. There comes also a time, Vasettha, when sooner or later this world begins to re-evolve. When this happens, beings who had deceased from the World of Radiance usually come to life as humans...now at that time, all had become one world of water, dark, and of darkness that makes blind. No moon nor sun appeared, no stars were seen, nor constellations, neither was night manifest nor day, neither months nor half-months, neither years nor seasons, neither female nor male. Beings were reckoned just as beings only. And to those beings, Vasettha, sooner or later after a long time, earth with its savours was spread out in the waters, even as a scum forms on the surface of boiled milky rice that is cooling, so did the earth appear." The "beings" that The Buddha he described in this sutra are attached to an earthlike planet, get reborn there, and remain there for the duration of the life. As a result of this, physical characteristics change and evolutionary changes take place. This is could be interpreted as a form of evolution. Modern science says that some millions of years ago, life originated in the ocean which evolved from simple into complex organisms. All these processes are without beginning or end, and are set in motion by natural causes. World came into existence by nature and that nature is not an intelligent force. Darwin believed all the life on Earth developed gradually over millions of years from a few common ancestors. Darwin's general theory presumes the development of life from non-life and stresses a purely naturalistic (undirected) "descent with modification". That is, complex creatures evolve from more simplistic ancestors naturally over time. In a nutshell, as random genetic mutations occur within an organism's genetic code, the beneficial mutations are preserved because they aid survival -- a process known as "natural selection." These beneficial mutations are passed on to the next generation. Aleksandr Ivanovich Oparin developed one of the first modern theories about the origin of life on Earth .The theory which in 1924 made Oparin famous concerns abiogenesis, the spontaneous generation of life from non-living chemical substances. Oparin believed that conditions on primitive Earth were different to those of the present. He suggested that the ancient seas were like a 'primeval soup' which contained many organic compounds. These were created when sunlight, a virtually limitless source of energy, reacted with chemicals in the water. These organic compounds formed the basis of life. They combined, becoming increasingly complex, until living cells were formed. The Primordial Soup Theory suggest that life began in a pond or ocean as a result of the combination of chemicals from the atmosphere and some form of energy to make amino acids, the building blocks of proteins, which would then evolve into all the species. The Primordial Soup Theory states that Life began in a warm pond/ocean from a combination of chemicals that forms amino acids, which then make proteins. This is supposed to happen at least 3.8 billion to 3.55 billion years ago. Living beings are protein-made bodies formed by one or more cells that communicate with the environment through information transfer carried out by electric impulses or chemical substances, and capable of morpholigical evolution and metabolism, growth and reproduction. Life is a chemical system able to replicate itself through autocatalysis and to make mistakes that gradually increase the efficiency of the autocatalysis. Dr.Cyril Ponnamperuma, an eminent researcher at the University of Maryland, whose career focused on explorations into the origin of life and the "primordial soup" that contained the precursors of life. Dr. Ponnamperuma began to delve into this primordial soup and set up variations of Miller and Urey's original experiment. Having changed the proportions of the elements from the original Miller-Urey specifications slightly, Ponnamperuma and his team sent first high-energy electrons, then ultraviolet light through the mixture, attempting to recreate the original conditions of the earth before life. They succeeded in creating large amounts of adenosine triphosphate (ATP), an amino acid that fuels cells. In later experiments with the same concoction of primordial soup, the team was able to create the nucleotides that make up nucleic acid—the building blocks of DNA and ribonucleic acid (RNA). Dr. Chandra Wickramasinghe - Professor of Applied Mathematics and Astronomy, School of Mathematics, Cardiff University, UK asserted: "Life did not start here on earth but in space . Theory known as panspermia- the science that teaches earth and other planets in the universe may have been seeded for life by microorganisms carrying comets. Life did not start in a primordial soup spontaneously here on earth as believed earlier but it started 4000 million years ago on comets and traveled through space to earth and countless other planets. He played a key role in establishing a connection between astronomy and biology. His work in the 1980's showed for the first time that cosmic dust had properties that resembled the properties of living material and their degradation products. 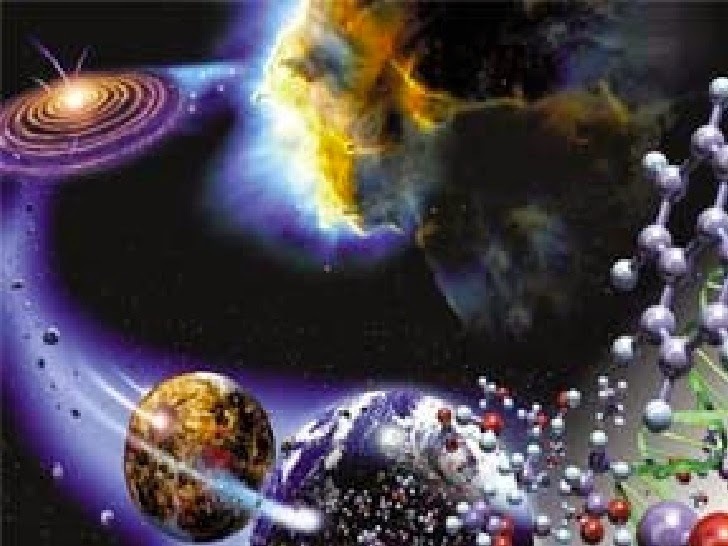 The concept of life being a cosmic phenomenon supported by space science, geology and biology. In this context life on Earth resulted from the introduction of bacteria from comets, and the subsequent evolution of life required the continuing input of genes from comets. Viable bacteria are of cosmic origin. They were present already in the material from which the solar system condensed and their number was then topped up substantially by replication in cometary material. Thus the impacts of cometary material would have brought them to Earth.The idea of life being a cosmic phenomenon is fully in tune with Buddhist as well as Vedic philosophy.